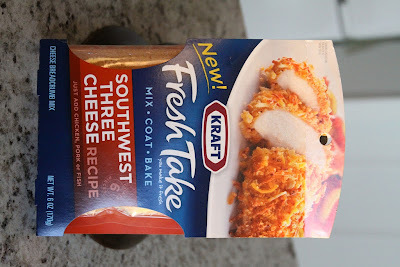 When I was wandering the grocery store last week, I came across these new breadcrumb mix packages by Kraft. I figured it was worth a try and snagged a couple. Here is the Southwest Three Cheese. You can use these with chicken, pork or fish. Like usual, we were having chicken so I grabbed a mix from the fridge and went to town. These are extremely easy to use. The directions are right on the package. Go ahead and follow them, but here is the break down. 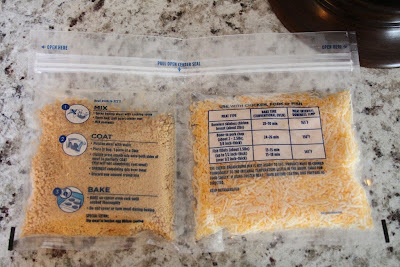 The bag is separated into two pouches, cheese and bread crumbs. 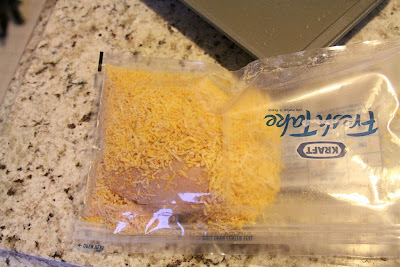 Open the bag and pull apart the plastic to let everything combine. Reseal the bag and shake it well so it mixes up. Now go ahead and add your chicken. Make sure it is thoroughly thawed, trimmed, and washed. Make sure while washing it you hold on to the chicken tight so as you don't drop it down the garbage disposal into oblivion...UGH! Zip up your bag and shake it. Make sure to really toss it around to get a good coverage, you can dampen your chicken a bit to get it to stick better, just make sure it isn't wet. 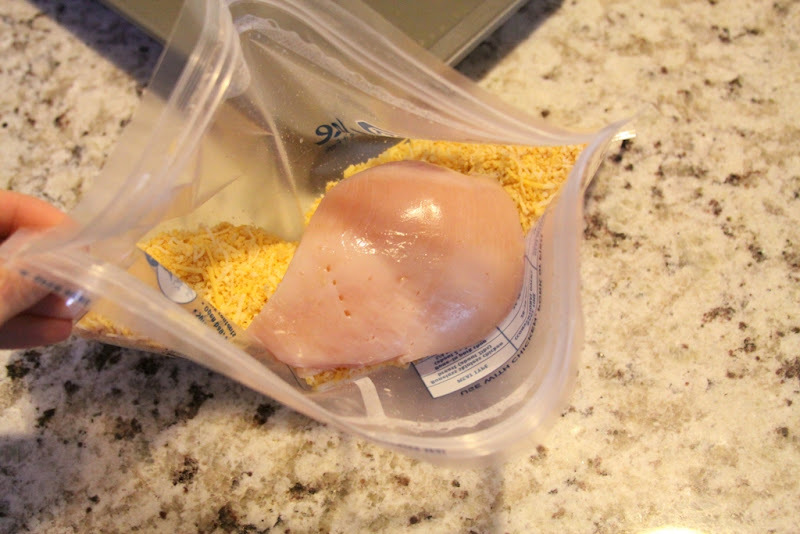 While in the bag press the crumbs onto the chicken to get it to really cover. 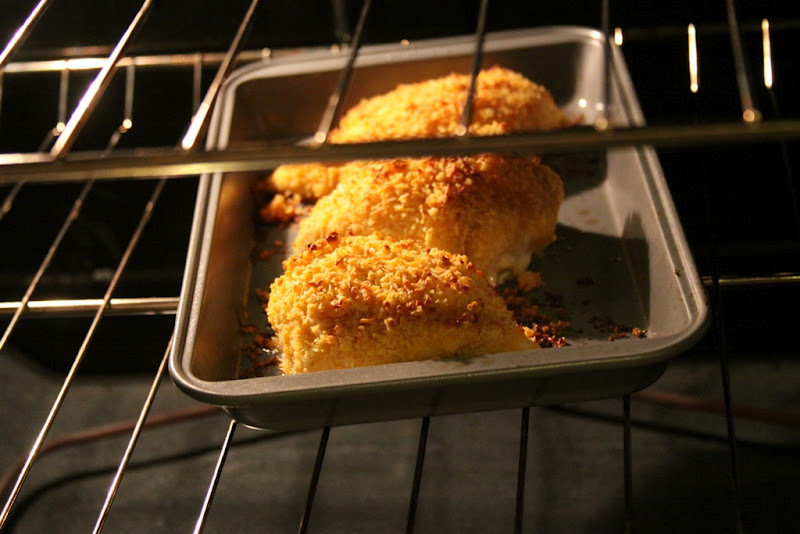 When your chicken is covered put it onto a coated baking sheet. 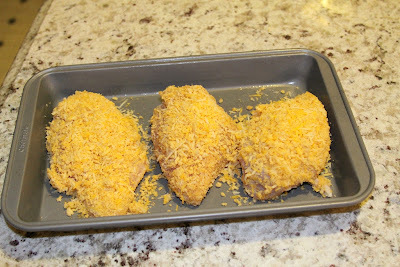 Use the left overs to sprinkle over the chicken to make sure it is covered. Throw it in the oven and cook depending on what type of meat you have. 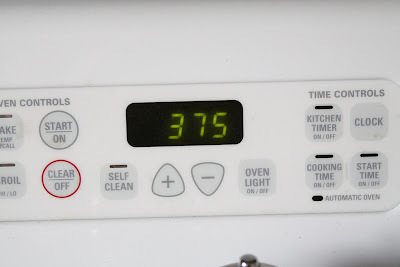 Once it is finished remove, let cool a minute, and serve. I will say for how simple this is I will be buying them more often. Be careful not to let the chicken be too wet, it keeps the crumbs from sticking. 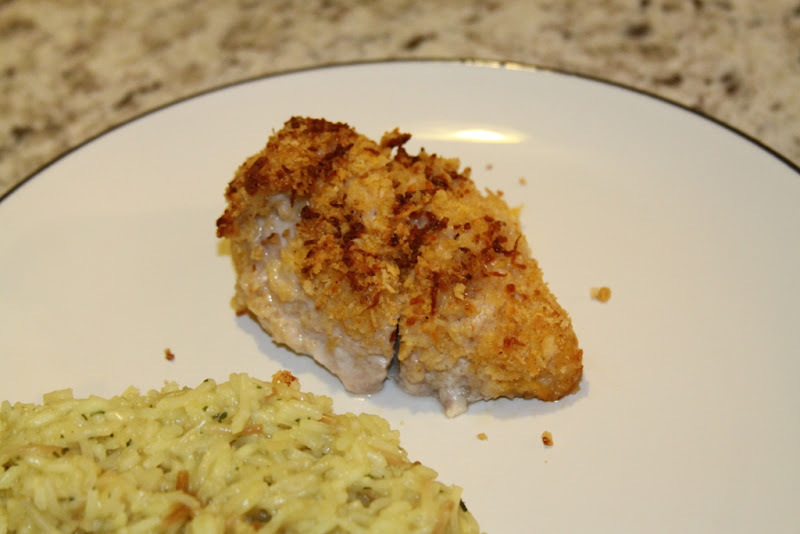 It took about 3 minutes to prepare and it was very good, this flavor was hot, not spicy but hot. 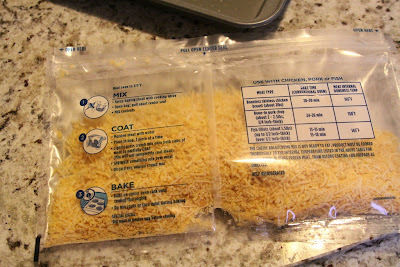 I hope you will try these, they make dinner very simple!! I was not compensated in anyway for this, just my opinions! Yum, I am making this for dinner! Hope it turns out good!